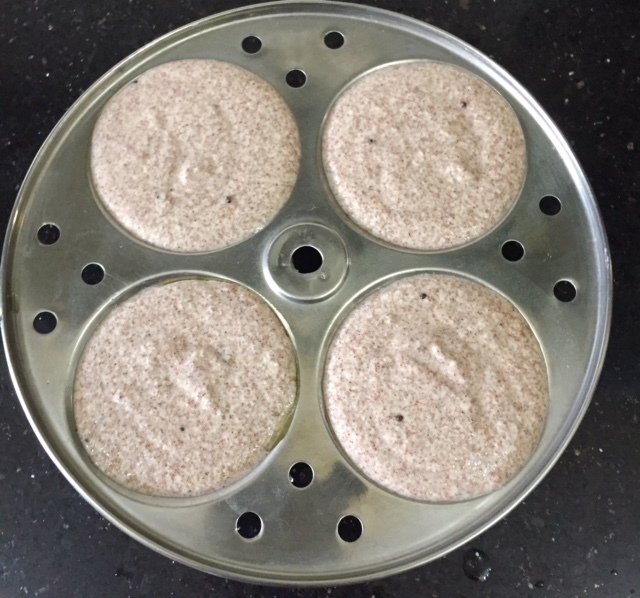 There are many ways of preparing ragi idlis. 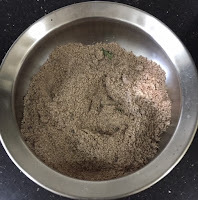 You can either soak the grains along with rice in equal proportions, grind and use the batter, or you can simple add some ragi flour to the left over idli dosa batter and make them. 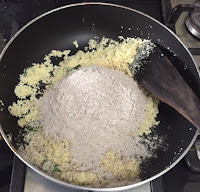 This recipe is instant one which is prepared by adding yogurt to the ragi flour and semolina. It really is a handy recipe when we have guests at home and are short of time. 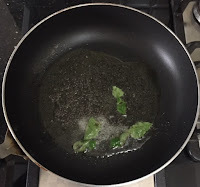 I am part of a group called, Recipe Swap Challenge on fb where two bloggers are paired together each time and we have to choose and prepare a dish from our partner's blog. My partner this time is Archana Potdar of The Mad Scientist's Kitchen. Today's recipe of Instant Ragi Idlis is from her blog. Do visit her space to check out her collection. 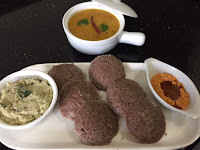 Here is a recipe of soft and fluffy instant ragi idlis. The only little change that I have made from her recipe is I have roasted the semolina and ragi flour, cooled it and then added the yogurt and eno. When they crackle tip in the curry leaves. Next add the semolina and stir fry for 2 minutes on medium flame. 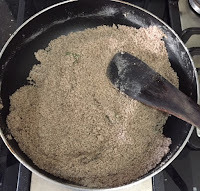 Stir in the ragi flour..
Add salt and whisk it well adding a little water.Set it aside for 15 minutes. The batter would have thickened a bit. Adjust the consistency by adding a little water. Just before making the idlis add eno and a teaspoon of lemon juice over it. Mix well immediately. 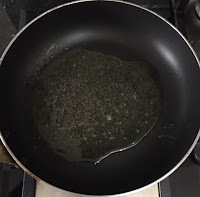 Grease the idli moulds and pour the batter into them. 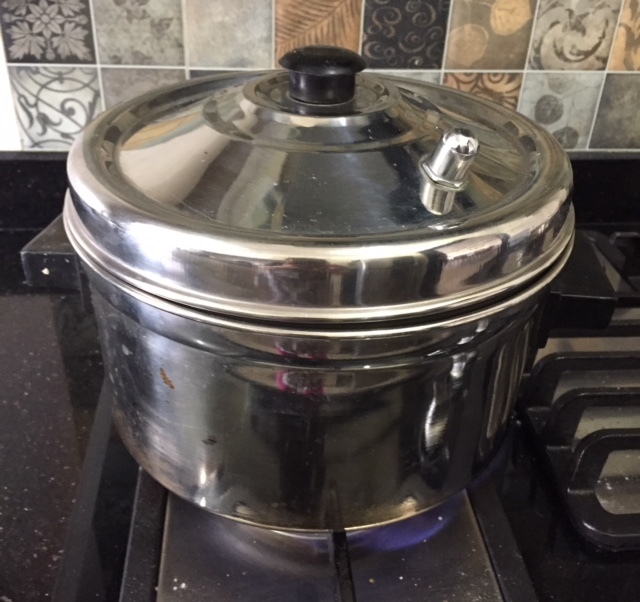 Place the mould rack in the idli cooker with some water at the bottom for steaming. Place it on the gas and steam for 10 to 12 minutes. Remove the mould after cooling. 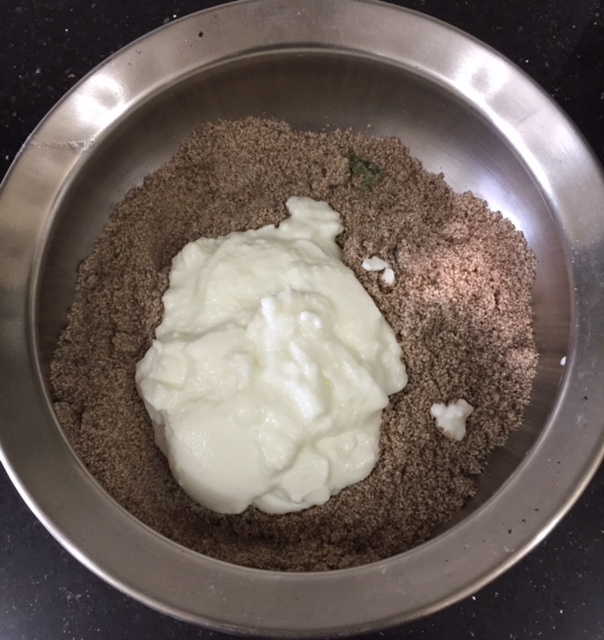 Demould the idlis carefully using a small spatula. 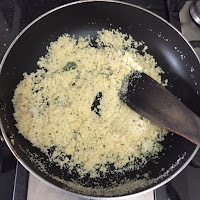 Serve them with any chutney, sambar and podi. 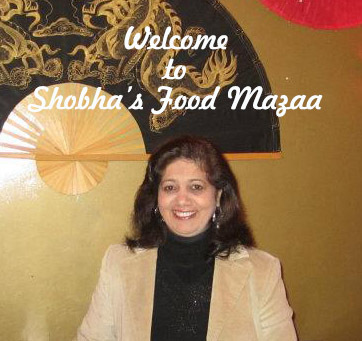 What a unique and healthy recipe Shobha! I like your step by step pictures. The idlis look so spongy. Gorgeous and healthy idlis! 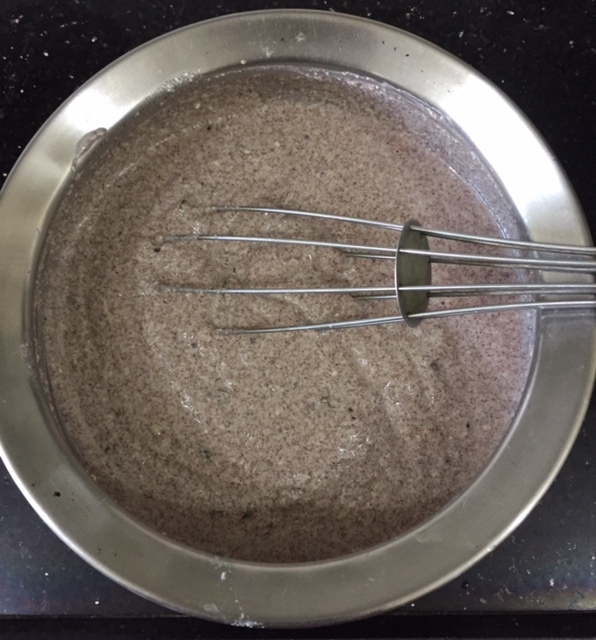 I always try to add a bit of ragi to many of my dosas and idlis! Your idlis look so fluffy and perfect! Wonderful share! True dear.. ragi is so healthy. 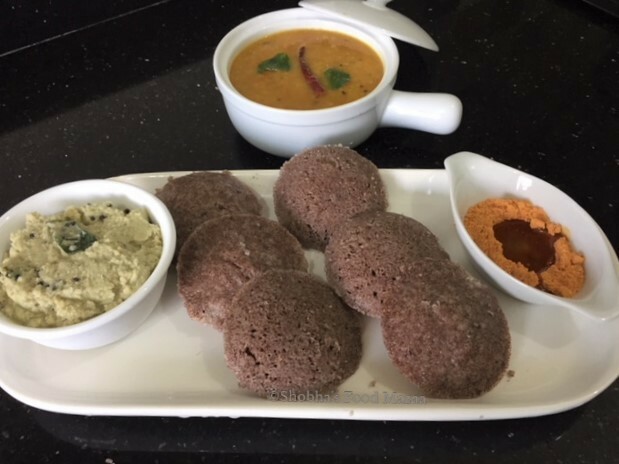 The ragi idlis looks so perfect best option for breakfast and starting the day with a bang, lovely share. Yes Soma.. healthy breakfast is always better. 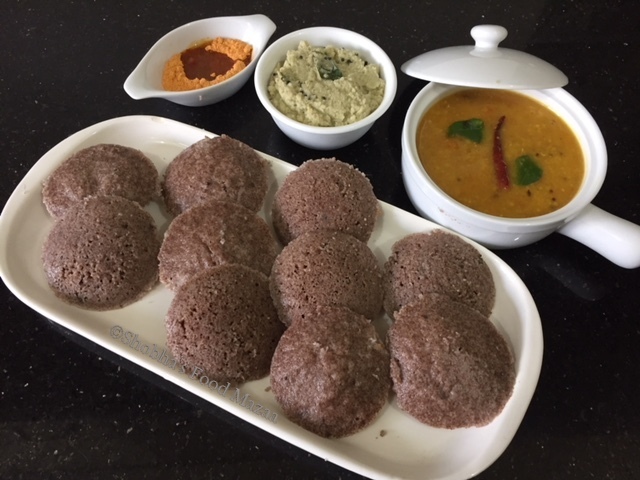 ragi idli really taste great and a perfect breakfast or lunch recipes. Yes.. and so filling too. Ragi idlis look so spongy and perfect di ! A very healthy breakfast option for sure ! Yes this one tasted very nice.. 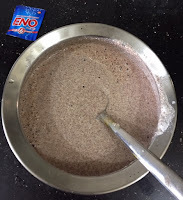 Even I don't like anything prepared with only ragi. Thanks Meghna.. yes they really are power packed with nutrition. 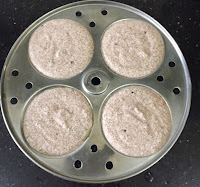 Past a couple of years I started using ragi flour, and making ragi idlis, your version is little different, surely will try yours too. Thanks dear.. I just started using now as we never used to get in Brazil. I love using millet (whole grain and flour) to replace rice and wheat in traditional recipes! Thank you for the step by step pictures! Will be really helpful. I've just recently bought some more ragi flour and will be trying this recipe out. We too are trying to incorporate more healthy grains into our diet. Ragi idlis looks so tempting. same here.. I have started using other flour varieties more these days. I love instant idli recipes as they work so well for weeknight dinners. 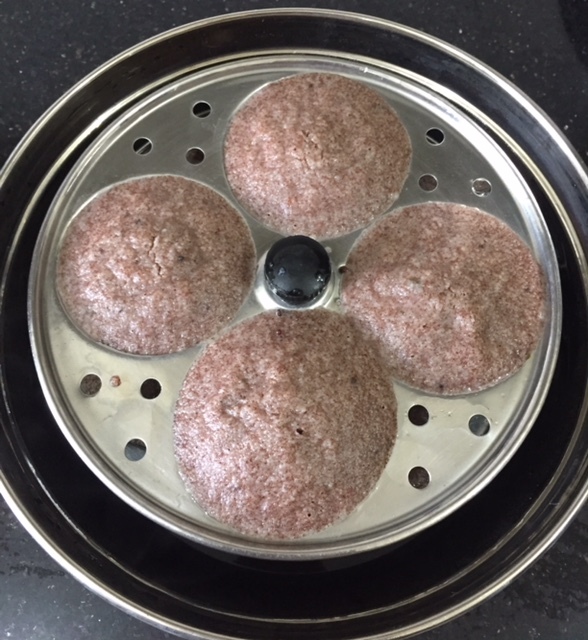 Ragi idli looks great and love the wonderful texture that you have attained. Thanks Sandhya.. I love these instant recipes too. Instant version Idlies are life saver and super handy they are. Just love ragi idli this way. Lovely pick Shobha and they came out super spongy n soft. 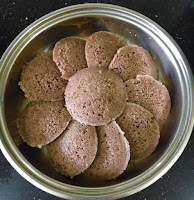 The ragi idlis looks so healthy :) perfect breakfast option..... lovely share. True dear.. specially when we have guests at home. Wow what a healthy treat. 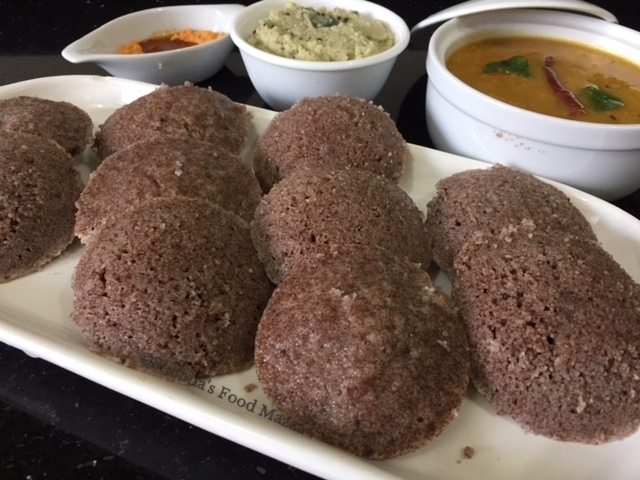 Ragi idli looks so soft and delicious. Loved your pictures. Superb share. Rava idli is my all time favorite food. Addition of ragi makes it more healthier...will try it soon..thnx for the recipe. Yes, ragi is a healthy grain.. 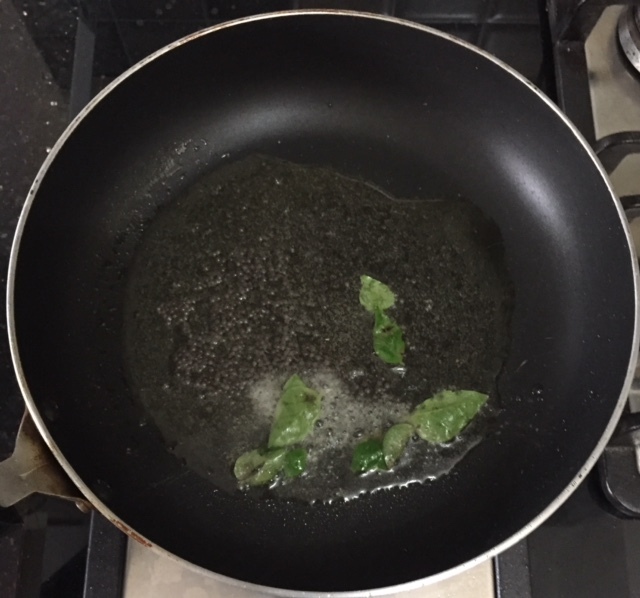 I am also trying to add it to various dishes.Thanks dear.